From its humble beginnings in 1970 when a group of friends from the University of Washington decided to hold their own marathon, the Seattle Marathon Family of Events has grown into one of the largest combination marathon/half marathon in the Northwest. That first marathon 49 years ago sported 38 runners. This year, 10,000 participants are expected for the marathon and half marathon walking and running events. Join us the Sunday after Thanksgiving for Seattle's Original Hometown Marathon. All participants must be off the I-5 Express Lanes by 9:15am to that it may open to traffic at 9:30am. This allows Half Marathoners starting at 7:30am a 21 minute pace to reach mile 5 and Full Marathoners starting at 7am a 27 minute pace to reach mile 5. All event routes will be opened to regular vehicular traffic at 2:15pm. This allows for a seven-hour Marathon Walk finish and a six-hour Marathon Run finish. There will be limited on-course aid stations, Course Marshals and police support after the course closes. Participants may continue along the course after the official closure by obeying all standard traffic control devices. Finish Line staff and essential services will remain until every athlete has completed the event. Each mile-marker will be clearly labeled on the race courses. Split times will be called at each marker (as permitted by the number of volunteers). Half marathon split times will be electronically recorded and available in marathon results. Water/Aid stations are approximately every two miles. There are 14 Water/Aid Stations on the full marathon course and 7 on the half marathon course. Refer to the course map for locations. Talking Rain water and Gatorade Endurance Formula sports drink will be available at each station, in addition to basic medical items and Honey Bucket portable toilets. GU will be available at water stations at mile 5.4 for the full and half marathons and miles 9.7. 14.25 and 18.5 for the full marathon. Each water / aid station will remain supplied until the last participant has passed. TalkingRain is the official water sponsor of the Amica Insurance Seattle Marathon 2019. For more information about TalkingRain water, please visit www.talkingrain.com. Lemon-Lime Gatorade Endurance Formula will be available on course at all aid stations. Endurance Formula has nearly two times the sodium and three times the potassium of traditional Gatorade. Newly reformulated, it now contains no artificial flavors or sweeteners and has a new, lighter flavor. Learn more about the Gatorade Endurance line of products at www.gatoradeendurance.com. Gu Energy Gel will be available in the following flavors: Salted Caramel, Vanilla Bean, Chocolate Outrage, Tri Berry and Strawberry Banana. 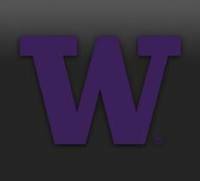 Provided by our Official Medical Coverage Sponsor, UW Medicine. If medical assistance is required on the race course, contact one of the orange-capped radio operators, who will be able to summon emergency assistance or van transportation if required. If you drop out, please notify an aid station attendant, radio operator or anyone inside the information booth in the Victory Recovery Area so the information can be relayed to the event support staff. All Marathon and Half Marathon participants receive a long-sleeved technical fabric shirt and goody bag. Finishers receive a finisher’s medal, certificate of completion, result issue, and individual care, both on the course and following—including food, beverage, space blanket, and availability of medical care, acupuncture, massage and chiropractic care. The Washington Sports Massage Team (WSMT), Bastyr University and Washington State Chiropractic Association (WSCA) will be located in the Victory Recovery Area. WSMT will provide a 15-minute professional sports massage to finishers for a $18 fee. Massages can be purchased on site or in advance using the entry form. Bastyr University will be providing Acupuncture to finishers for free. There is no need to sign up for Acupuncture in advance. Just go to the Acupuncture booth on Race Day for walk-up service. WSCA will be assisting UW Medicineat the finish line as well as providing chiropractic care in the Victory Recovery Area. Clothing Check is located in Memorial Stadium's north side tunnel, directly behind the upper stadium seats. Clothing Check will be available to race participants starting at 6:30 am. Volunteers will be available to store and retrieve your bag. All bags must be clearly marked with your bib number. Under no circumstances should you bring valuables, as the Seattle Marathon Association is not responsible for lost or stolen articles. Finishers taking 7 hours or longer may claim their bag at the Finish Line. Any items found on the course will be brought to Clothing Check. Please see a clothing check volunteer if you have lost or found an item. All lost and found clothing not claimed at the end of race day will be donated to charity. For information on lost and found items of value, please contact the Seattle Marathon Association Office at 206.729.3660 M-F between 9 am and 4 pm. MarathonFoto is the Official Photographer of the Seattle Marathon 10K Race. Be sure to smile for their cameras as you run or walk along the race course! MarathonFoto will photograph you multiple times throughout the race course as well as before and after the race. Smile when you see their photographers in the bright yellow vests and make sure your bib number is clearly centered and visible so they will be able to identify you. MarathonFoto will also be at the finish line area taking photos to help you celebrate your accomplishment. View and order your photos within 1 to 3 days after the race at www.marathonfoto.com. Each Marathon Run, Half Marathon Run, Marathon Walk and Half Marathon Walk finisher will receive a commemorative finisher’s medal at the finish line. In addition, special awards are given to the top finishers for both the Marathon Run and Half Marathon Run in the following categories. Overall Awards: Presented to the top three men and women finishers in both the Marathon and Half Marathon events. Age Division Awards: Presented to the top ten men and women in each age division in both the Marathon and Half Marathon as follows: 19 and under, 20-24, 25-29, 30-34, 35-39, 40-44, 45-49, 50-54, 55-59, 60-64, 65-69, 70-74, 75-79, 80-84, 85 and over. Masters Division Awards: Presented to the fastest male and female finishers, age 40 and over, in both events. Active Military Awards: Presented to the top three male and female finishers in both events who are actively serving in the U.S. military. Walk Events: Please note that the Marathon Walk and Half Marathon Walk will be timed but are not intended to be race walking competitions as set forth by the USATF. No awards will be presented for these events. Finishers will have their achievement commemorated with an alphabetical listing — including finish time — in the Results Issue. Award Presentation: Overall 1st – 3rd place awards will be presented to winners at the finish line. Age division and other awards will be mailed after the event. All awards not picked up on race day will be mailed.